← It’s all about spinning! 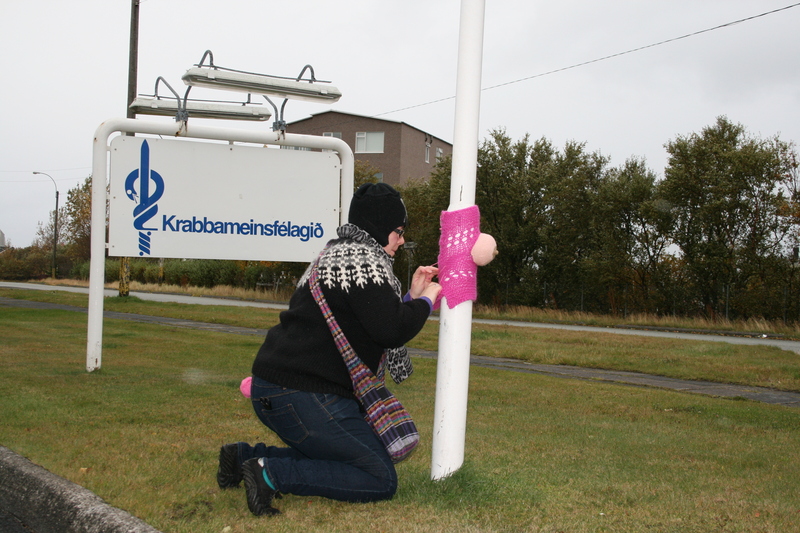 October is Breast Cancer Awareness Month so I decided to do a boobie yarnbomb. 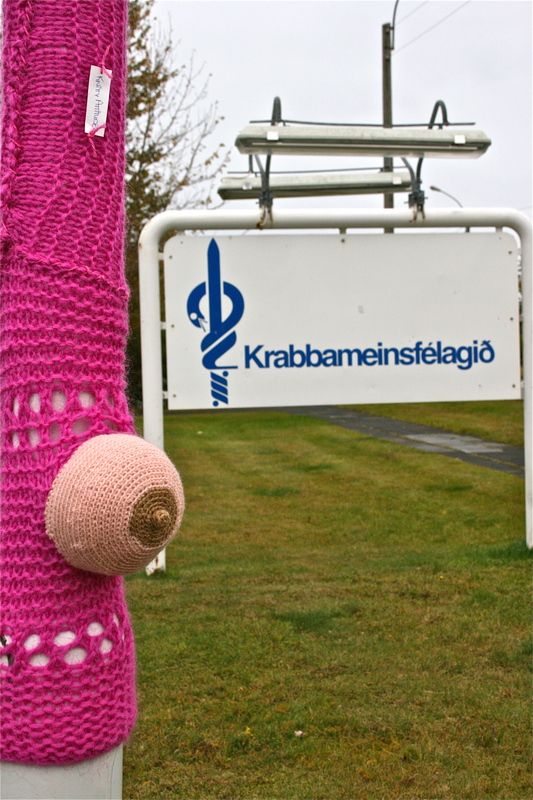 Today is also Big Breast Yarnbomb day so it fitted perfectly! that work there happy to see yarnbreasts when they come in on Monday. 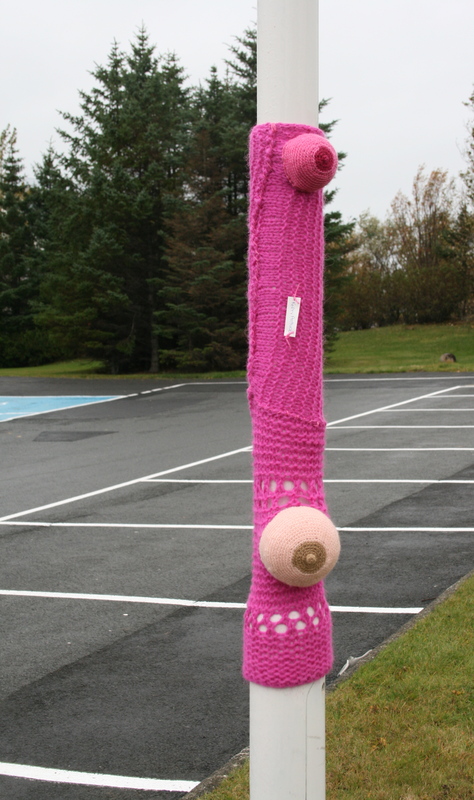 Posted in yarn graffiti and tagged boobies, yarn graffiti, yarnstorm. Bookmark the permalink. you certainly did make us very happy here at the Cancer Society and we see your great contribution as a part of the awareness program.